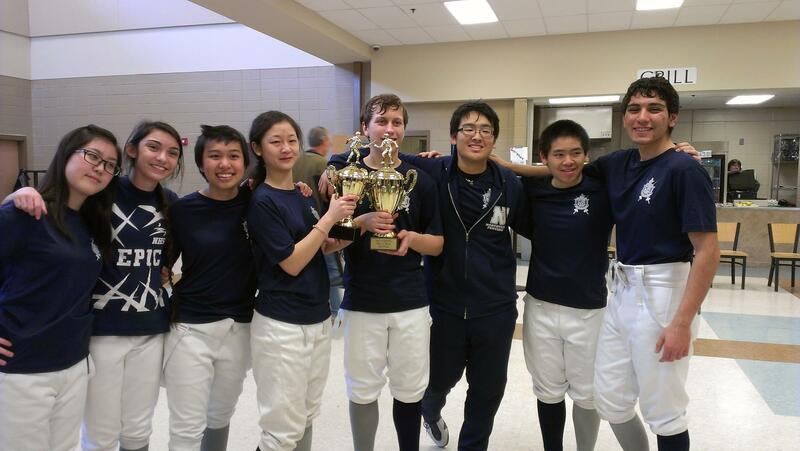 JOHNS CREEK, Ga. – The Northview High School Titans fencing team concluded a successful 2012-13 season in the Georgia High School Fencing League. In the team tournament March 2 at Pope High School, Northview's men's team of Dave Williams (captain), Harold Liu, Pedrum Khoshlesan and Matthew Do out-dueled Johns Creek HS to earn a berth in the championship round against the Pope HS Greyhounds. In the championship bout, control see-sawed between both teams with Northview's Williams scoring an impressive 15 points in one three-minute period, the most scored in one round by any fencer that day. Ultimately, Pope's team of Jake Wachtel (captain), Luben Jelezarov, Ian Lenthart and Nick Shook prevailed. Pope took first place, Northview second and Johns Creek third. Northview's women's team of Peggy Xu (captain), Arah Kang, Valerie Avva and Janice He earned the school's first women's team trophy, defeating Johns Creek HS to finish third behind defending champions Pope High School and runner-up Alpharetta High School.